The Georgia's capital features the country's best variety of art and exhibitions. Whether you're drawn to photography, inspired by classic paintings or moved by contemporary works, Tbilisi has something for your aesthetic interests. 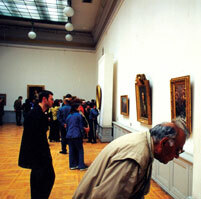 The art galleries feature contemporary art, traditional fine art, glass art, paintings, prints, photography, sculpture, and other types of visual art. If you are interested in collecting art or would like to purchase art, these are some of the art galleries to visit while in Tbilisi.